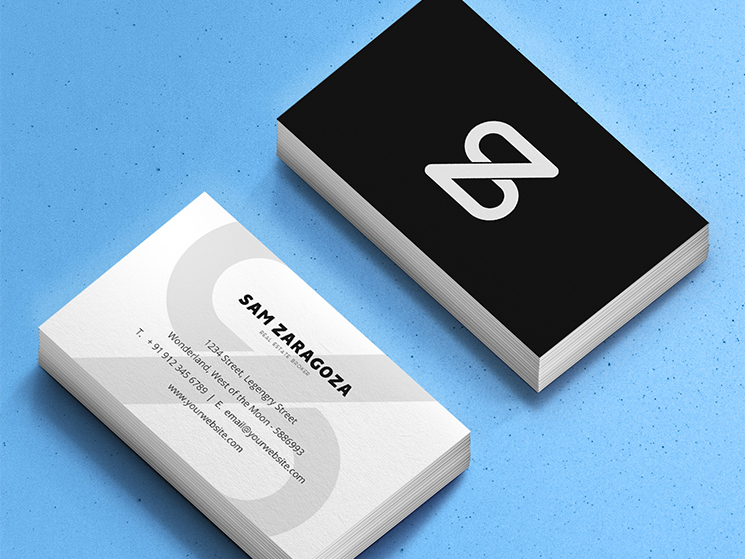 Miki Grujic designed these business cards for Sam Zaragoza, a real estate broker. The design is bold and timeless with a catchy logo (formed by the monogram of Sam Zaragoza) on one side while the contact details on the other. “For the design process: first, we finished the logo; after choosing colors for the logo, creating the cards was easy. On the front, we decided to use strong black color with white logo to give an elegant look to it; on the other side, we used black text on white background. Then, we added zoomed logo in light grey as the final touch,” Miki explained. Sometimes less is more and with a minimalist design like this, it’s effective in exuding confidence without losing the edginess and sophisticated look.